Emaar’s mega project Dubai Creek Harbour is expected to be completed by 2020. The property developer recently released a two-minute video, ‘Fly Through Dubai Creek Harbour’, which gives a glimpse of how it would look like once the Dh3.65- billion project is done. The Dubai Creek Harbour will feature commercial districts, leisure developments, residential neighbourhoods and parks. It will also feature a museum and cultural facilities, canals, parklands, landscaped promenades, pedestrian walkways and cycle paths. A public transport network will service Dubai Creek Harbour with both land and water-based public modes of transport. It will use solar power and water purification systems. His Highness Sheikh Mohammed bin Rashid Al Maktoum, Vice-President and Prime Minister of the UAE and Ruler of Dubai, had laid the foundation stone for the tower at the official ground breaking ceremony in October 2016.? 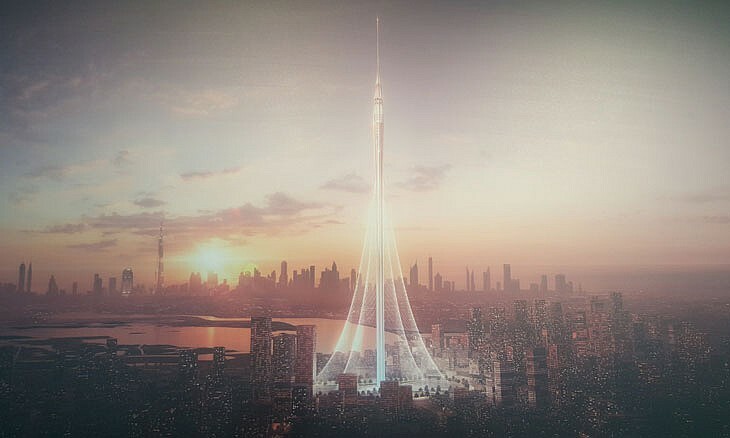 ?The Tower, which is set to be 100 metres taller than the Burj Khalifa (828 metres), is at the core of the scheme.?? At a cost of $1billion to build, the six sq kilometres master-planned community will be only a ten-minute drive from the Dubai International Airport. Among The Tower’s features are The Pinnacle Room and VIP Observation Garden Decks that recreate the splendour of the ‘Hanging Gardens of Babylon’, one of the Seven Wonders of the Ancient World. The Tower is designed by Spanish-Swiss architect Santiago Calatrava Valls. ?Overlooking the Downtown Dubai skyline, the soon-to-be skyscraper adds an “incredible economic value to Dubai Creek Harbour” where Emaar has unveiled several residential projects including Creek Gate, Harbour Gate, The Cove, Dubai Creek Residences, Creekside 18, Harbour Views and Creek Horizon homes. ?